Obviously, we all know we can drink tea. After all it has been done for centuries. General idea is to toss some tea leaves into hot water, wait an appropriate amount of time, strain, and enjoy. Bam, I have just provided the most simplified way to make and drink tea. I know I am making light of its simplicity, in reality methods do vary based on tea type etc. However, for the purpose of this article let’s call it a crash course in Tea Making 101. Recently, by which I mean forever ago tea has been used for a wide variety of other applications. I only use the word “recently” because until recent years tea wasn’t really talked about for its “off brand” uses as it is today. In this article it is my goal to show you just how versatile and amazing tea can be. Giving you just one more reason to validate your possible addiction to the stuff. I am a huge proponent for using tea in your bath and beauty products. I will not go into any specifics about any potential type of health benefit. If you are interested in that sort of information I urge you to do some research of your own. I enjoy using tea as a natural exfoliate majority of the time. I have been using tea in my beauty regiment for years and can only speak from my experience, that it works very well for me. 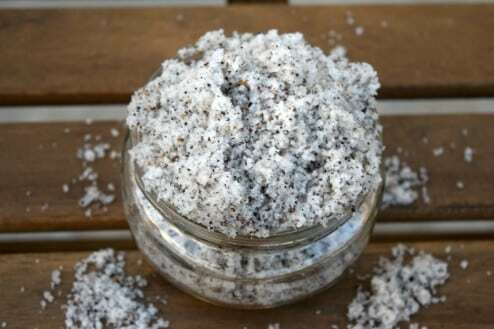 Best part is that it isn’t expensive; you can easily make your own scrubs and bath salts at home. Not only will you have the peace of mind of knowing what is in your product you will also have the satisfaction of knowing you made it yourself and saved money doing in the process. Not to mention the products I have created have been far more effective than the stuff you buy at the store. Below I have included a super simple recipe to make your own tea body scrub. ½ cup Oil (Olive or pre-melted coconut oil) – If you use coconut oil it may harden depending on room temperature. It is important when making this recipe it is slightly melted. Too hot and your tea will steep and your salt will dissolve. You need the consistency to be just loose enough to incorporate all your ingredients without compromising the remaining ingredients. Once the scrub is made it is possible the coconut oil will solidify. That is fine because when you use your scrub just rub it into your hands and your own body heat will melt it down enough to work with. Directions: Combine all ingredients in a bowl and stir until fully combined. Transfer into an airtight container like a Ball jar. Use with caution when applying. Test a small area for an allergic reaction. Be aware your bathtub will become slipper. Take care to prevent injury. When finished, enjoy your fresh newly moisturized smooth feeling skin. For those whom are unaware over the past two years I have transformed my life. I have gone from 236lbs to a varying weight of 130-135lbs. My journey is a long and detailed one that I will leave for another time. For the purpose of this article I wanted to highlight my new love of eating healthy and clean. Over the course of two years I have tested my body with a various number of foods and beverages. I have learned that for me it isn’t about dieting, counting calories, eating sugar free, or fat free foods. For me it is limiting processed foods and eating primarily whole foods. How does tea fit in? In this case I bake and cook with tea all the time. As a matter of fact my day often starts with lapsang souchong, a black tea with a smoky profile. It is something I enjoy paired with goat cheese, dill, and chives for my breakfast. Believe me it is much better than it sounds. As for the health and fitness side of things rumor has it matcha is the place to be. I actually eat and drink tea because I love the flavor. If in fact it turns out to be healthy for me I’d consider it a lovely bonus. 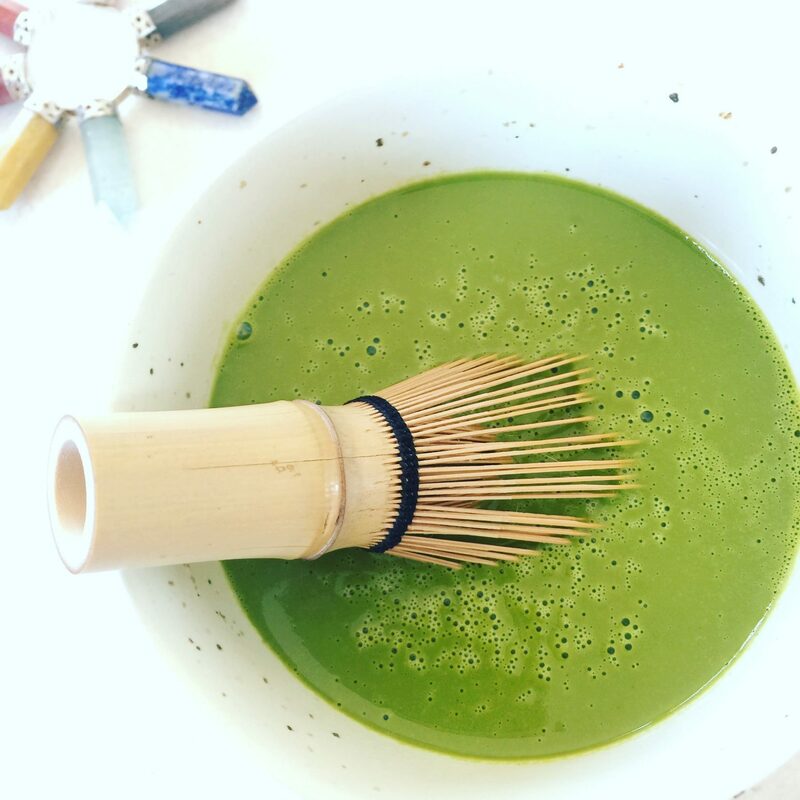 Bottom-line, even if it is ultimately proven that matcha doesn’t have the antioxidant benefits that it is advertised as having I still know it is healthy because there is no unnecessary sugar, preservatives, food coloring, or any other garbage. 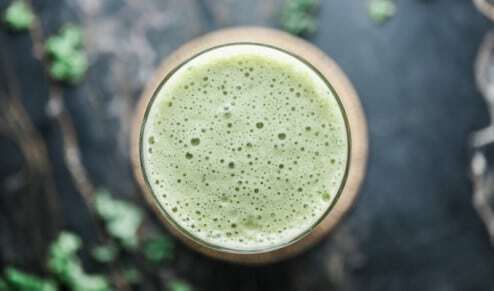 Matcha is literally finely pulverized green tea. As long as nothing else is added I feel comfortable drinking it and feel I am making the right choice for my body. Below is just one of the ways I enjoy matcha. Keep in mind I am using a protein powder for this drink. Yes, it is processed. I have not been able to completely eliminate processed food and don’t see that as a potential reality for me. This is one of the items I do allow myself. There are other healthier protein powders out there and you are more than welcome to experiment with them. Directions: Combine all ingredients in a shaker bottle. Shake until combined. Enjoy right after a workout. Best cold. Aside from tea I enjoy many other things with relish. I love tech, gadgets, science fiction, mysteries, crafting and fitness with zeal. I love food, most particularly unique foods and its pairings. I enjoy wine and dare I say it coffee. Though tea is my first and most obsessive of all addictions. I particularly enjoy incorporating what I love most into other things I love. We will call it a pairing of loves or maybe more specifically “ménage à trois.” Pretty sure one day I will attempt to bake a Tardis shaped matcha green tea cake that is bigger on the inside. Sorry, I just had to throw in a Dr. Who joke. Those whom know will get it. 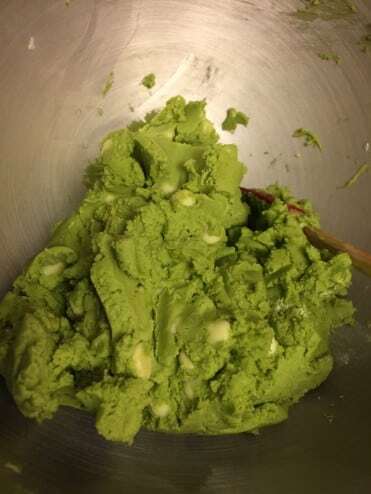 Until that day I will direct you to a Matcha Shortbread Cookie recipe I made over the holidays. It is simple to make and a definite crowd pleaser. If there were even one take away from this article it would be too be creative. Use this information as a jumping point. Your creativity is your only limitation. Have fun and enjoy tea is ways you have never imagined. You resisted talking about pure health issues 😛 (see my latest blog post). I never tried cheese with tea or cooked with tea (and I won’t even think about beauty products) but I heard it was good and maybe I should give it a try.